Everyone over the past week or so has been talking about the selfie feature in the Google Arts & Culture app for iOS and Android. It works in most locations, not all, depends on your privacy laws. 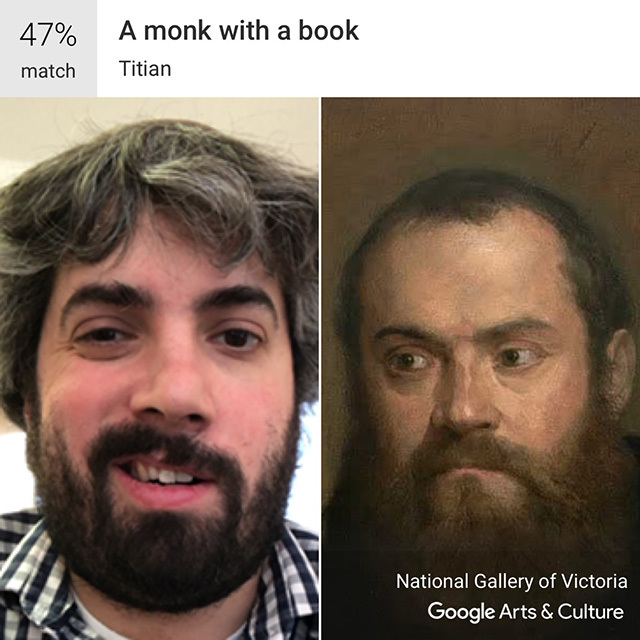 You simply take a selfie in the app and it matches your face to old art museum portraits from their database. I had some fun playing with it and it came up with seven different options for my face, depending on if I am smiling, smirking or more. It is fun. But Google now has over 30 million selfies, given to them, for them to use, for whatever purpose they want. Google posted on Google+ saying "over the past few days, people have taken more than 30 million selfies with the Google Arts & Culture app." That is a lot of selfies! I guess we all trust Google that much.